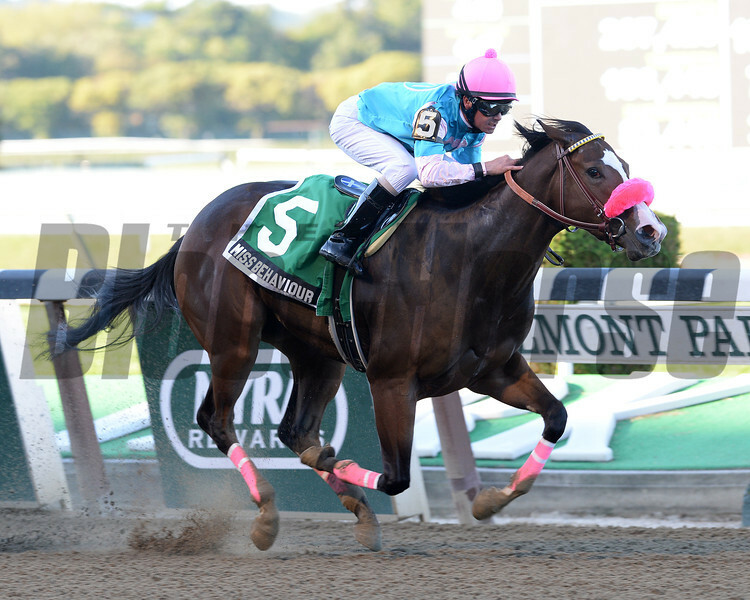 Cal MacWilliam and Neil Teitelbaum's homebred Miss Behaviour proved best Sept. 29 in the six-furlong Matron Stakes (gr. II) at Belmont Park. The Pennsylvania-bred daughter of Jump Start covered the trip in 1:10.57, topping even-money choice Sweet Whiskey by a length in the $200,000 event for 2-year-old fillies.